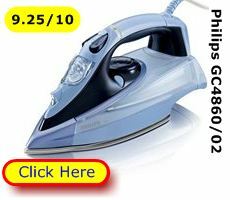 Compare Irons - Updated for 2013 - What Makes the Best Buy Steam Iron? Our updated compare irons table lets you judge – at a glance the best buy irons 2013. Based on our survey results, you'll find the users overall satisfaction ratings per model plus a run-down of the facts owners tell us are important – like how long the power cable is. 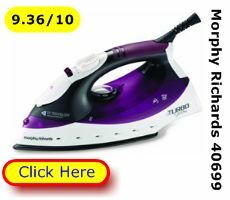 Check out the top steam irons – as voted by UK users - from Morphy Richards and Philips. Sadly, no Bosch, Rowenta, Russell Hobbs or Tefal irons made it into the top ten this time. In our quest to find the UK’s best buy iron, we’ve now surveyed over two thousand four hundred users in order to build our compare irons table. 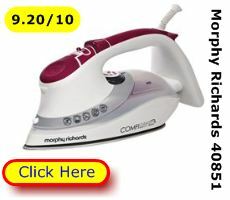 * You can usually upgrade the Morphy Richards warranty to 2 yrs by regsitering your purchase online. What you have here are the top irons for 2013. And what they give you is a lot of controlled steam. It’s steam production that relaxes fabric and makes it easy to smooth wrinkles and banish creases in one pass of a slippery iron sole-plate. And what that means for you is a shorter ironing chore. 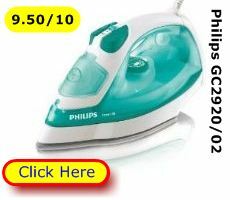 The cream of the crop, based on an overall user satisfaction rating of 9.50/10 is the Philips GC2920/02. 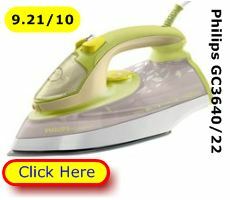 This is a lightweight, comfortable iron that delivers reliable, neatly pressed garments. 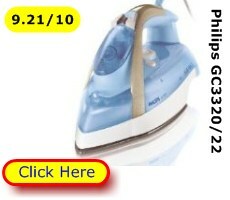 It’s great for the needs of singles or couples who iron regularly. What more could you ask? However, if you are ironing family loads you might want to give one of the other, equally highly rated, models consideration. The Philips GC2920 delivers 35g/minute of continuous steam. This might not deliver one pass crease busting if you are ironing a bone dry pile of clothes once a week. 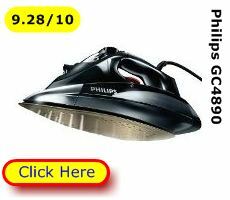 For our money, the best buy iron for family use is the Philips GC4890 (User rating 9.28/10). 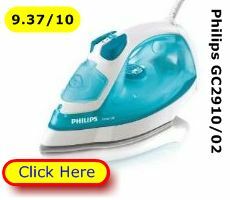 This steam iron delivers 50g/minute of continuous steam with a massive, crease smoothing, 200g shot. It also has an auto off safety function. If you are interested in energy conservation the Philips GC3640/22 Energy Care (User rating 9.21/10) could be for you. 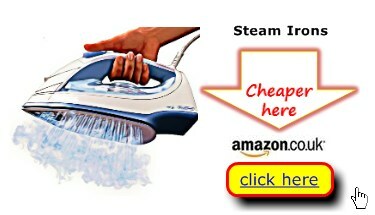 This iron has just enough steaming oomph to tackle a family’s laundry pile. And you can make that steam on demand but a light downward pressure on the handle. It also has an energy saving auto-off function. Thank you for using our UK updated 2013 compare irons table.